In writing this blog, I’ve realized that I am drawn to particular kinds of movies. One genus, if you will, is the sort of whip-smart battle-of-the-sexes film such as His Girl Friday. A recent example might be Duplicity (2009), with Julia Roberts and Clive Owen. But another thread is what could be called the Quest Movie. The quest film is defined by a single-minded hero who becomes fixed on an objective, sometimes willingly, sometimes reluctantly. The archetypical example is The Searchers (1956) with John Wayne, in which his pursuit of Natalie Wood’s kidnappers became obsessive. 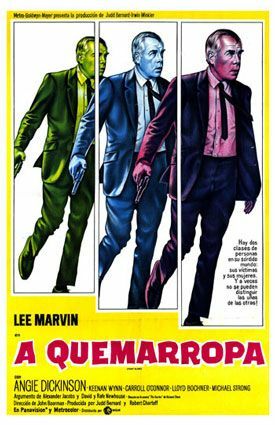 As these things usually work, I watched three such movies in a row: John Boorman’s Point Blank (1967), Sam Peckinpah’s Bring Me the Head of Alfredo Garcia (1974), and the modern Children of Men (2006) by Alfonso Cuaron. The films are very different stylistically, and all three are very much the product of the vision of their directors. Point Blank is as abrupt and economical as its title. Its protagonist, only known as Walker and played by Lee Marvin, is taciturn, spectral, seemingly emotionless. He moves through the movie like an avenging battering ram—and the movie, with its Godard-like jump cuts, its tightly-edited sequences, and sparse dialogue, is as trim as Marvin. 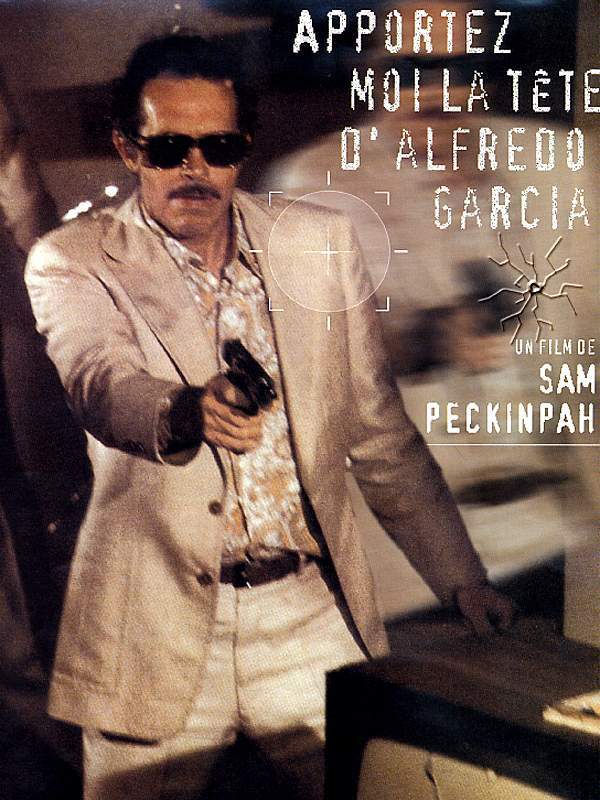 Alfredo Garcia, on the other hand, is bloodier, shabbier. It meanders. The hero, Bennie, played by Warren Oates, is a drifter, a piano player. Where Boorman’s Walker is looking for something more abstract—satisfaction, Bennie’s motivation is simpler. At the outset, he wants love and money. Later, like Walker, he wants vengeance and satisfaction. But the movie takes his time getting there and ends on a nihilistic note. Peckinpah suggests blood begats blood—and Bennie is not rewarded for his moral turn. Boorman, on the other hand, appears more interested in the service of personal justice. 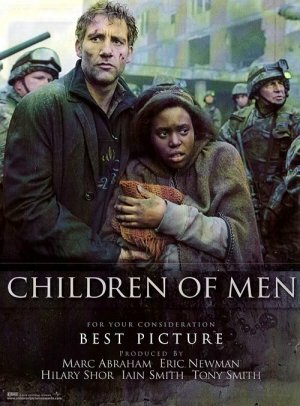 Finally, in Children of Men, which involves a plague that has rendered the world’s women sterile, Clive Owen’s Theo (again with the Clive Owen), at the outset, wants nothing at all. It’s only when he meets the pregnant Kee does he become alive, himself again. The movie is different than the other two in that Owen’s journey is as much as an emotional one as a physical one. (Walker and Bennie end their movies largely on the same emotional note as they began them) Theo’s mission is different. Because his quest involves protecting someone else, it is founded on hope in a way the other two films are not. However, it shares a similarity too with Alfredo Garcia as both concern men who find themselves a purpose. In fact, all three movies share similarities. For one thing, it’s a prerequisite in such films that the protagonist must be stripped of attachments, transformed into a solitary warrior, often not particularly likeable. That usually means women. And yes, in all three films, the heroes’ romantic interest dies. (See also, Fritz Lang’s The Big Heat (1953), which I also recently watched and another classic example, Braveheart (1995), which is both a revenge movie like the Big Heat and Point Blank and a quest for something larger, like Children of Men. That being, of course, FREEDOM.) Literally, they become weapons with nothing to lose—and if their lives become secondary to their goals, we can appreciate the intensity of the experience all the more. Contrast that, with say, the adventure film. In a movie such as, say, Master and Commander (2003) with Russell Crowe, the stakes may be just as high, but they aren’t personal to the hero. As such, we don’t expect Crowe’s Captain Jack Aubrey to lay down his life in pursuit. In fact, we would be disappointed if he did. Just like no one ever expected Indiana Jones to die in pursuing the Ark of the Covenant or the Holy Grail. There would be no pathos in it. Detective movies, too, aren’t quests. They’re problems to be solved. Think of Russell Crowe’s character in Gladiator (2000). Wife and family taken from him? Check. Home destroyed? Check. Only one thing to live for: defeating the emperor. See also: Saving Private Ryan (1998). Not a war movie, per se, or an adventure film. Tom Hanks is on a quest. A personal mission. The end, then, should not surprise us. I’m also reminded of The Constant Gardener (2005), a terrific film that draws almost no attention. The worlds these characters inhabit typically become sharply realized in these films, which enhances the visceral nature of the journey. All three films, Point Blank, Alfredo Garcia, and Children of Men, are very much products of their moment, whether it may be 1960s California, the Mexican desert or the dystopian world of England** in the near-future. The narrow focus of the protagonist must be matched by an extremely specific sense of place, to achieve in the viewer a sense of immediacy and identification. (I again recall The Constant Gardener’s Africa—all these men are strangers in strange lands.) More generic backdrops only muddy the effect. Films that cheat and try to have it both ways often don’t work for precisely the reason that there is a disconnection between the personal stakes and the outcome. 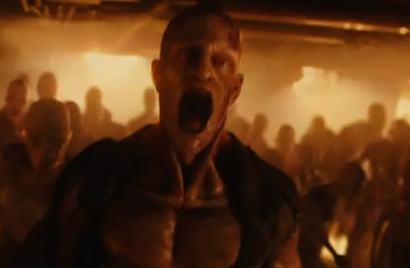 Two Will Smith megamovies are examples, one where there is a phony death with excessive pathos, Hancock (2008), and one where he really does buy it in the end, I Am Legend (2007). In both cases, the protagonists’ motivation was only partially drawn, making the first ending feel like a cheat and the second one hollow. Then there is the film that deserves its own Bad Pacino analysis—in fact the movie that lives at the very heart of Bad Pacino—Carlito’s Way (1993). Is it a quest movie, a Shakespearean tragedy (with a Puerto Rican accent), or, as I prefer to think of it, a black comedy? What’s Carlito’s quest? He only wants to go straight with the love his life. It does have the distinction of being told in flashback by the dying lead character. (And it takes longer than it should for a guy who is dying. This film does not flash before your eyes.) This film, like Scarface, is the BrundleFly of Bad Pacino, the fusion of Good and Bad. This entry was posted in Bad Pacino Scorecard, From the Queue, My DVD Shelf by James Oliphant. Bookmark the permalink.